It's a broad, blue-skied evening on the Canadian prairies. The sun is making its delayed summer exit. The air is crisp. Birds sing in surround-sound. Bushes line the streets; their tiny yellow blossoms fragrance the aisles of the small town. The edge of the world is just on the other side of the town school, and I find it almost accidentally, on my evening walk. Seating myself on the dirty edge of an open field, I cannot see even one human. (For someone freshly arrived from Asia, a human-less landscape is highly unusual). I hear only prairie birds and see only fields, and dirt, and the houses on the edge of town. The sun angles over stubble left in the fields. Dreams billow in my mind like the cottony pileup of dandelion seeds. Thoughts amble down semi-smooth grooves of fertile prairie soil. Sometimes I need open air to free and see my thoughts. The thud, grind and scraping of living fades into the distance on this prairie night, and I'm up close with the quiet of God. Have you met one of those people who says he won't believe in God until he can make complete sense of Him? The kind who refuses to believe in an infinite God unless first he can wrap his finite brain around Him? Never mind that he eats food, whether or not he has a complete comprehension of how that food was grown or will be digested. I suppose he also trusts the car or train that carries him to work without fully understanding every fine detail of its operation. But when it comes to "rel!gion", he requires complete comprehension before he believes in Him. As if God, if He is who He says He is, could be summarized in pamphlet or a half-day Saturday course. The truth is, that life is full of mysteries, small and big. Every time you look around, you can see something you don't quite understand. Tonight, I don't understand why that dandelion tuft drifts in an unusual pattern. Or why a mosquito flies this course and not that one. Why this leaf is fuzzy and that one smooth. Why I can battle with beautiful words for weeks and then find they come tumbling into my head so inconveniently when I am without pen and paper in an open field surrounded by earth. Life raises lots of questions, and fewer answers. Friends, we should value mystery. The eternal God must grieve, seeing a twenty- or thirty-something made of already-dying cells demand an explanation of some minute circumstance from the Everlasting One—"or else!" Who are we to make such demands? Learn to put your hand over your mouth, with Job. 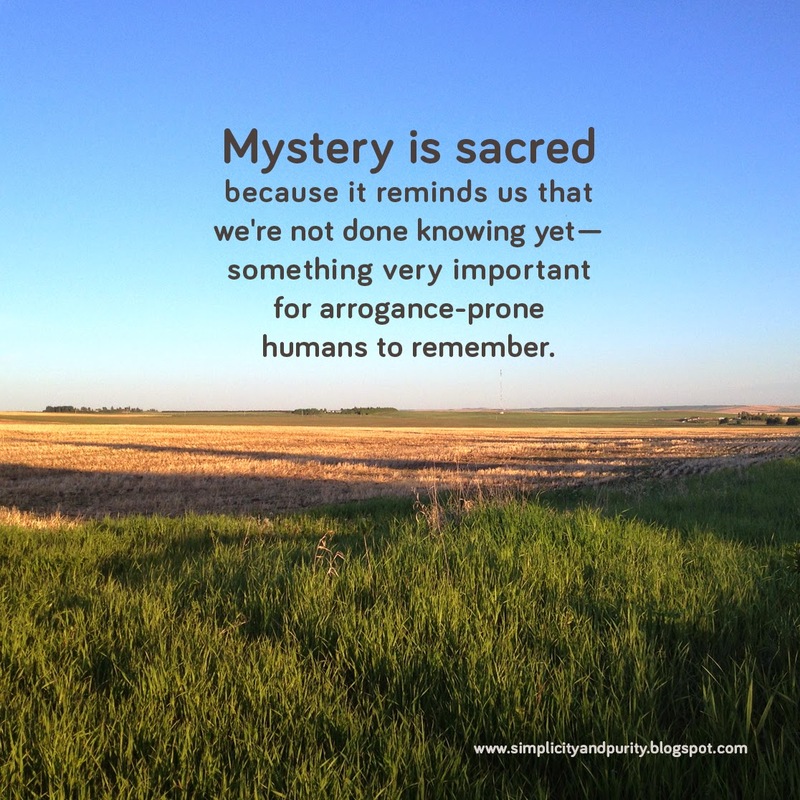 Mystery is sacred because it reminds us that we're not done knowing yet—something very important for arrogance-prone humans to remember. It takes humility to admit to not knowing. When we date, we try to sleuth the mystery that is another human life. We ask lots of questions, and wisely so. But sometimes, we hit a wall in our comprehension of the man-woman relationship. That's completely normal. The wisest king who ever lived said he could not understand the way of a man with a woman. Paul used the word mystery in describing how two could assimilate into one and picture that greater Union. Maybe it's that balance of the known and the mysterious that keeps us coming back, and back again, for more. My man and I can talk for hours, and we know so much about one another. Sometimes he finishes my sentences because he knows where I'm headed. He told me recently that it makes him glad that he's learning to anticipate what I might want—to ask me if I want more watermelon, because he sees the want in my eyes before it gets to my tongue. But he also told me once, that no matter how many hours we've talked, I still hold some mystery to him. And that that mystery is part of what he likes about me. My tendency is to want to ask questions, to probe, to poke. Or to completely divulge everything. But I let his comment about mystery lie on my ears; I like how it sounds. It ties with the virtues of feminine modesty and masculine conquering of the unknown. Mystery is sacred, and somehow it pulls us together. God is comprehensible, on one level. Utterly incomprehensible on another. Knowable enough for us to trust Him. Unknowable enough for us to stand in awe. He is present in the hand of a carpenter's son healing a sick child, yet He is as mysterious as a dark Mount Sinai covered in smoke. His Book can be grasped by a child, yet an adult can spend his lifetime (and an eternity to come) wrestling with the finer details of that story. "He is free, and you must always reverence this freedom. There are questions you have no right to ask, matters into which you must not probe, and secrets you must be content never to know.... there are things a man cannot and ought not to give. The deep calls only to God." And about your husband, Elliot writes, "...you must accept the mystery of [your spouse's] personhood....Your [spouse] is known fully only to God, and stands in a sense alone before Him.... Ultimately he is God's man." 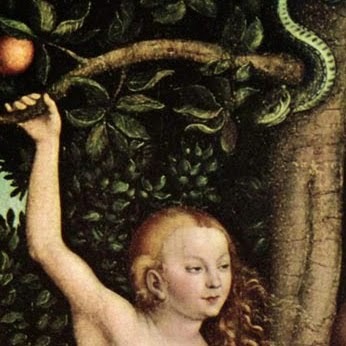 God and men: analyzable, but only to a point. Knowable but yet unknowable to women. As women, we often pick things apart with our words: we dissect, we explore and we want details. It's that constant need to know and discuss that can exhaust our God and our men. Sometimes it's needed, but not usually to the extreme in which we pursue it. let our mouths stand agape at His wonders. To be humble enough to admit that there are some things we can't understand.